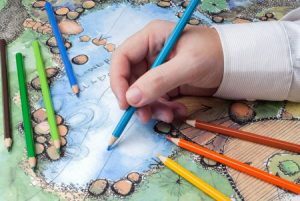 The modern landscape architect is not only efficient, thoughtful, and a visionary, but their assessment and planning can be seen and noted by the thousands of people that get to look at, and even walk among their dreams. Their work can be seen everywhere: a city’s botanical gardens, nature preserves, historical landmarks, interstates, and local parks. Their field of industry is not only one that is made up of conceptual designs, but of art and inspiration. A landscape architect is someone who plans and creates specific plots of land through buildings, memorials, and foliage to show the beauty and even artful movement. Their approach is of thorough and in-depth investigation of the collective community and environmental formation around the future site. Not only do many of these architects know about designing landscapes, but also site preparation, erosion regulation, master planning of all residences surrounding the site, designer and many more attributions that they must have to be successful in their field. They oversee many a variety of construction that includes campuses for schools, public parks, landfills, office grounds and estates for residents. They encompass the knowledge of engineering, architecture, the arts, botany, soil sciences, environmental science and topography to incorporate in the overall planning and layout of their projects. Projects are done in all sorts of locations and types of societies all over the world. The primary goal for a landscape architect is the vision and the potential. Their main plan is to come up with ideas for the space that they are going to use. They need to be able to thoroughly review any proposals and overlook the contracts for the development work. Landscape architects will need to know how the plan and design will affect the surrounding environment, people, and explain all the ins and outs of the proposed future location. This is where a great online photography portfolio would come in handy. Instead of just hearing you talk about how a certain area looks, a client and go to your portfolio and see pictures of your beautiful creations. An online presence through a creative website is a great way to showcase your work. How Do You Become A Landscape Architect? 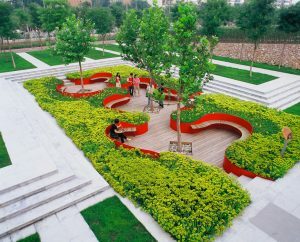 Currently, in many countries, specially designed schools are available for the field of landscape architecture. These institutes consist of professionals in the industry so that the regulations and any interests stay on the same level of standards. 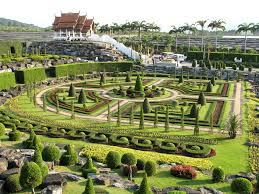 The legal aspects of overseeing the guidelines and ideas of landscape architecture do vary from country to country. Some require a license and others have minimal governing principles over their rules. The history of a landscape architect goes back thousands of years. The Old World was full spectacular castles laid out with elaborate gardens and various buildings that made up a whole estate. They may not have used the term landscape architect, but the knowledge these people had to have to complete the assignments on a giant and massive scale without the technology that we have today is still impressive. The people and civilizations that once lived there are remembered by the many buildings, gardens, and landmarks that thrive all over the world to this day. Nowadays, it can be a very profitable and exciting business. Today, we can look at the marvelous and breathtaking palaces, homes and towns of ancient worlds. From Versailles’ garden landscape artist André Le Nôtre to Frank Lloyd Wright’s home of Fallingwater, there is evidence enough of their achievement and accomplishments to society and the greater good. At one point in time, the only way to see the evident achievements of these industry folk was to go and see it. Now, through the advancement of modern technology and multiple software platforms, looking through someone’s expertise is easier. Any artist in landscape architecture should have a complete portfolio of all their designs, layouts and concepts. For meeting new clients, landing a new position or just getting started in the field, a collection is a more natural and quicker way to show anyone the evidence of their work rather than sending people on errands to physically look at their jobs. If a picture is worth a thousand words, then an assortment of pictures are worth ten times that. Potential employers and investors can quickly deduce if someone is worth their salt. Professional and tasteful photographs added to the portfolio can only benefit the artist behind the design. A landscape architect can inspire and move people. With so much history of the successes of this field, there are limitless possibilities to their feats. Through the use of technology for portfolios, it can only help to promote the work that they do.